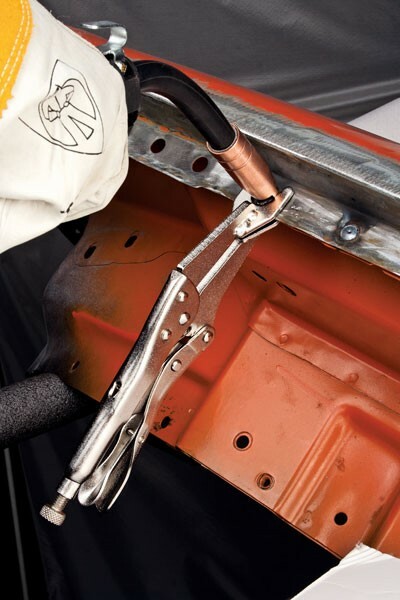 Now spot-weld with your Eastwood welder or Tweco�-style MIG torch. 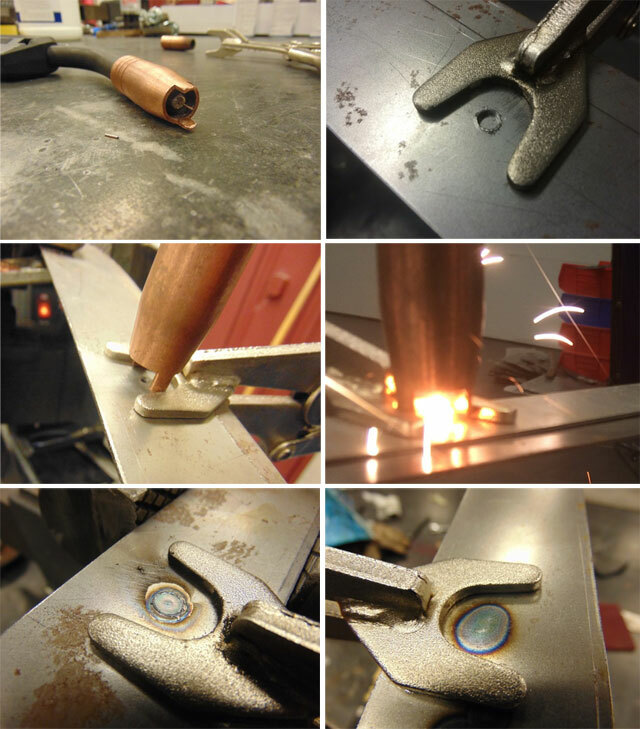 Now you can "spot weld" with your MIG welder...just add this Spot Welding Kit to your tool box! Use your MIG welder together with our Spot Welding Kit to produce professional spot welds without the need for a large resistance welder. Until now, you'd spot-weld primarily by using a large resistance welder, but now you can use your MIG welder together with this Spot Welding Kit from Eastwood to achieve the same professional results. 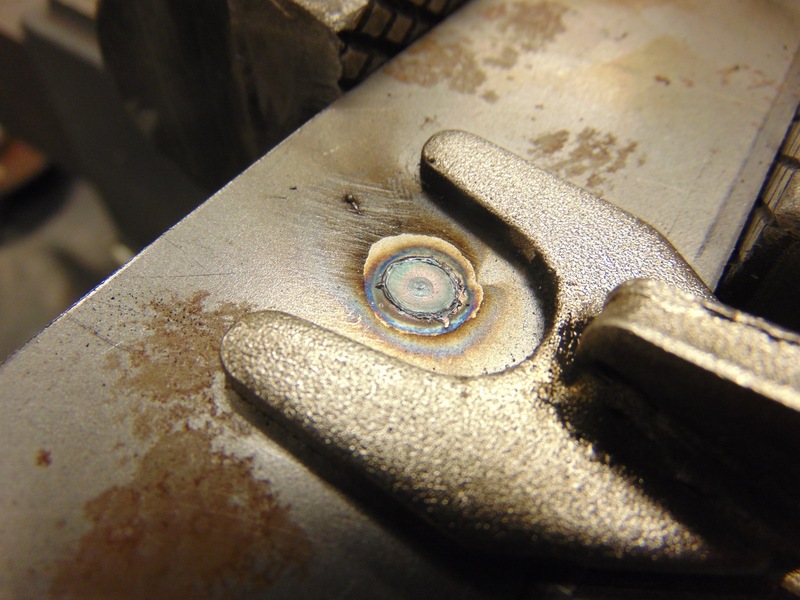 Spot welding is accomplished by clamping two panels together and fusing them with a number of sequentially-placed welds, rather than in a continuous bead, to hold the panels together. This kit is designed to be used with Eastwood's welders as well as any other brand welder that utilizes a Tweco®-style MIG torch. 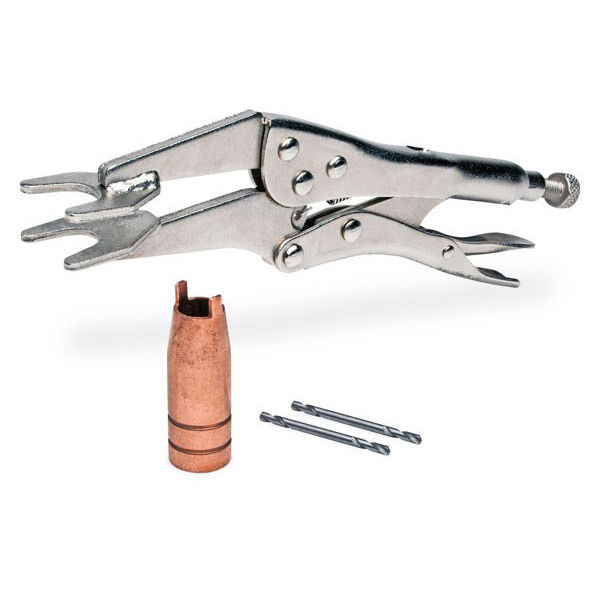 The combination of the Spot Pliers and Spot Nozzle assures complete welds all the way through, and exact duplication of each spot weld. 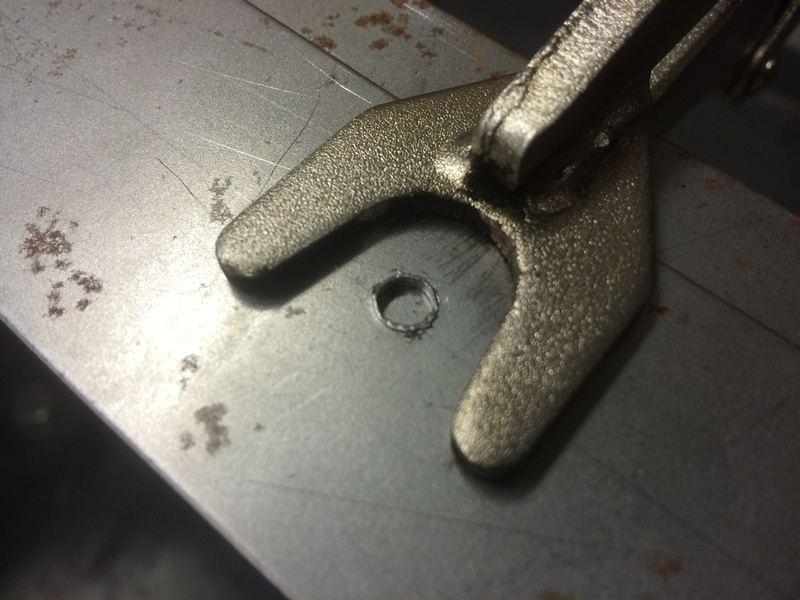 For 18-gauge steel, or if you're using a less-than-175-amp MIG welder, simply use the supplied double-ended HSS drill bit to drill a 0.187" pilot hole in the top panel only, and then complete the spot weld as usual. The pilot hole serves to assure complete and full penetration from the top to the bottom panel. 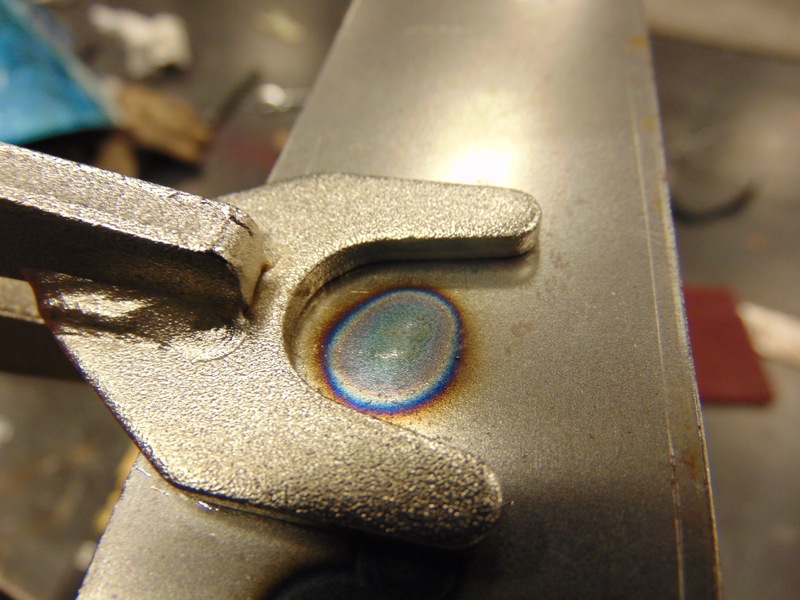 This type of weld is far greater in strength than a simple resistant spot weld, but produces the exact OE look, with greater weld strength. 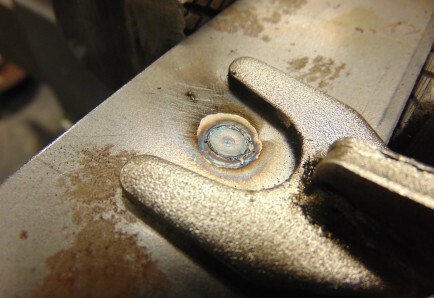 Follow all safety measures outlined in your welder's instruction manual. 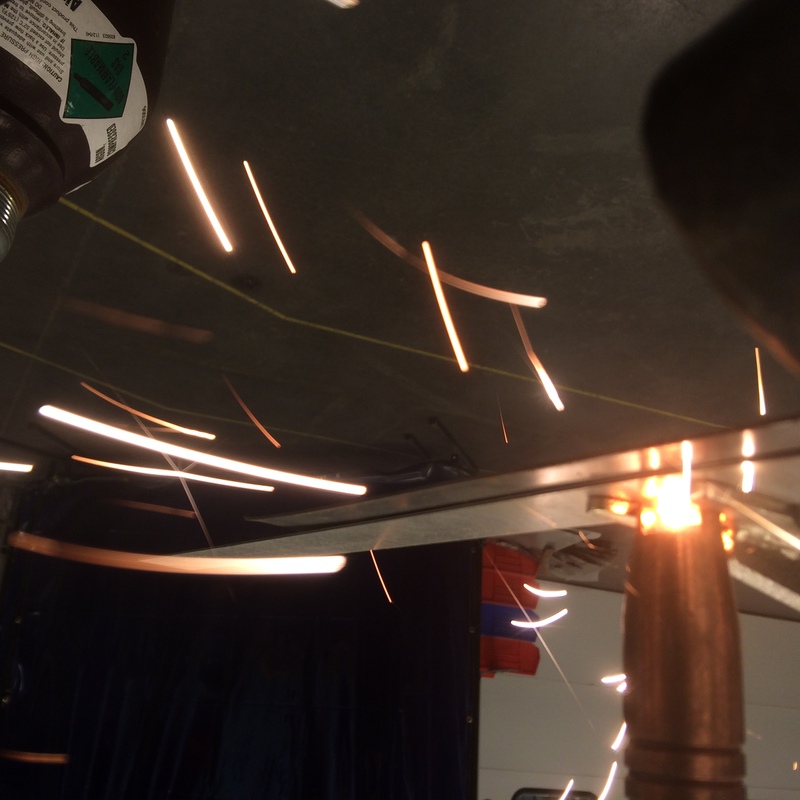 Do not touch nozzle or pliers while welding. 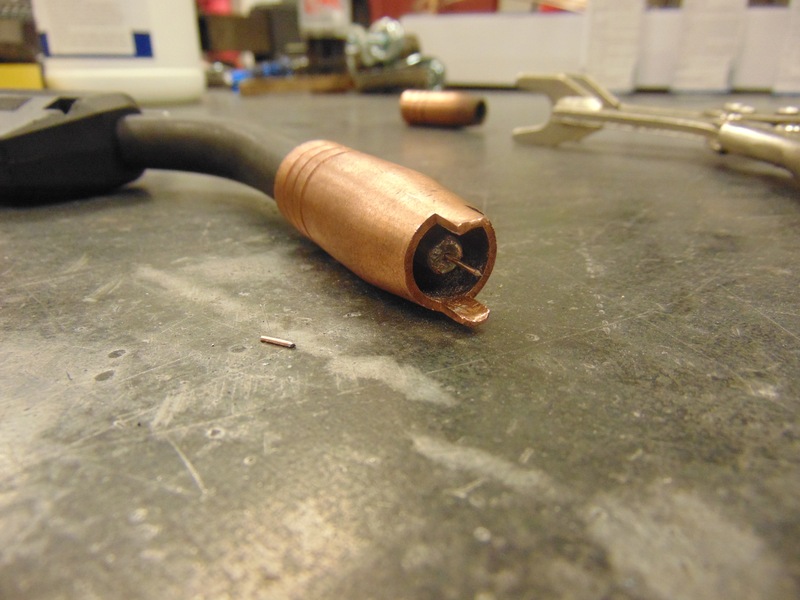 Use caution when touching pliers since they may be hot and could cause burns. Always use a minimum Shade #10 welding helmet, welding gloves, long-sleeve shirt and pants.